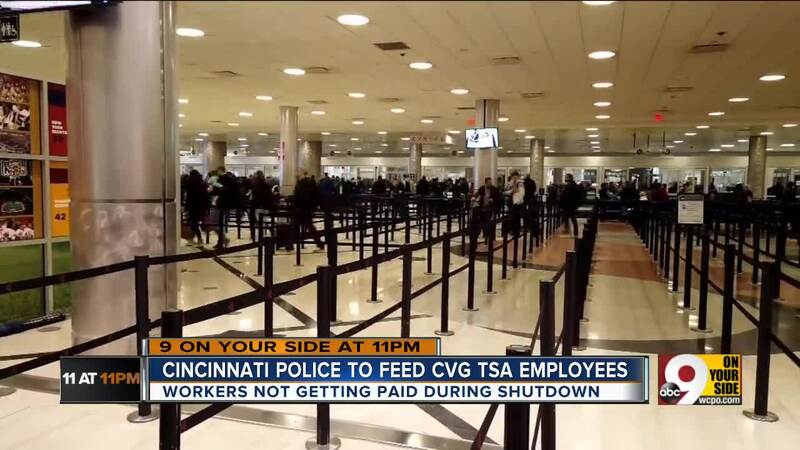 CINCINNATI — Members of the Cincinnati Police Department will spending the weekend delivering meals to 100 Transportation Security Administration employees working without pay as the nation’s longest-ever government shutdown edges closer to the one-month mark. Today and all weekend @CincyPD will be feeding the men and women of @TSA @CVGairport . The meals will go to Cincinnati-Northern Kentucky International Airport and come from Funky’s Catering, which CEO Jerin Dunham said has a close relationship with the police department. When officers reached out to ask about donating food to TSA workers, Dunham was more than willing to help. “Obviously people are in a situation not of their own making, but we try to help if we can,” he said Friday night. The meals officers will deliver include pastas, bread and salads. The TSA employees will receive them Friday, Saturday and Sunday.